There are any number of singers who can turn in a pitch-perfect performance, who can hold a note, shape a phrase, and project their voices to the back of the hall. Talent shows across the globe are full of them, singing for their supper, hoping for that lucky break. And then there is that select band of vocalists who can take a song to the next level, burrow deep beneath its skin, and pin you to your seat as they do so. Anyone lucky enough to hear the demo version of Tor Miller’s song “Headlights” would have instantly added the name of the 20-year-old native New Yorker to the latter list. Tor is endearingly vague when asked to explain the source of that singing voice. He grew up, he says, with a dad “who was part of the Glee Club at university, and he’d sing all the time at home, all these old college drinking songs. But my mum can’t sing to save her life. My parents always say that I would sing around the house all the time, too, but I don’t remember that. I do know that they would go to parent evenings and ask my teachers about my participation in music, and the teachers would go: ‘What? He never contributes.’ My mum and I would take these long trips out to Jersey, where she would ride horses, and I’d sing along to the radio. But I never thought anything of it. 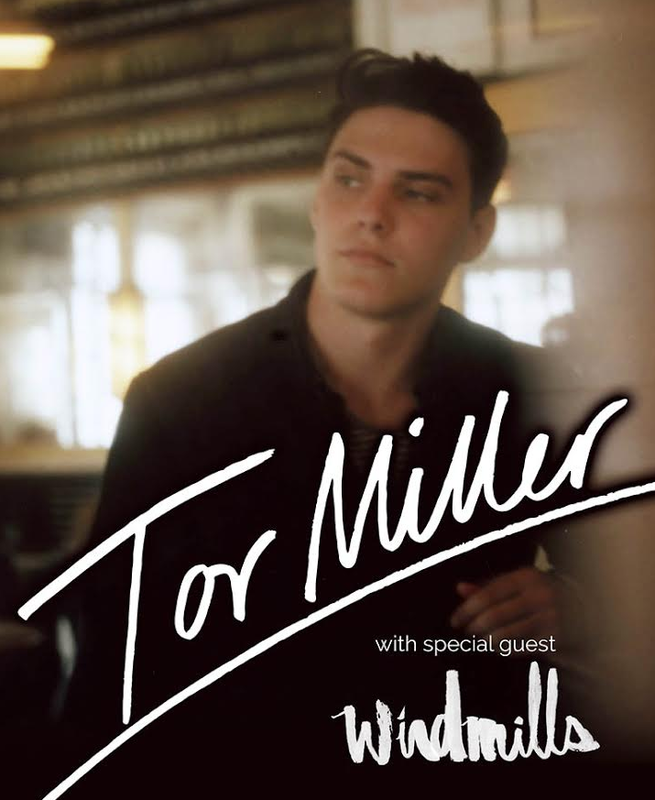 We are giving away 2 tickets to see Tor Miller with Windmills at Guilt & Company on June 22nd.